Unlike wall street journal and NY Times apps, there is no indicator to let you know how much has downloaded of the paper in case you want to read it offline later. So you leave it open for 5-10 minutes thinking that it has downloaded the entire edition but then you find pages and entire sections missing. Also no way to save an article or section. Once the 6 days have gone by you lose that edition and whatever information you might have wanted to keep (you paid for it dearly, you should be able to keep it). Plus from a cost point of view, it made sense when they were offering corriere + gazzetta for the cost of only one subscription. I got it for one month in the summer with that promotion and was quite happy but since they are not offering it any longer I won't renew. 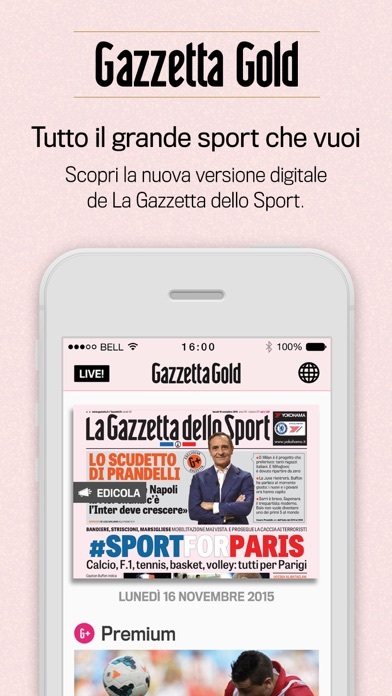 Good first step in Italian digital press but needs improvements especially from a price/marketing perspective. 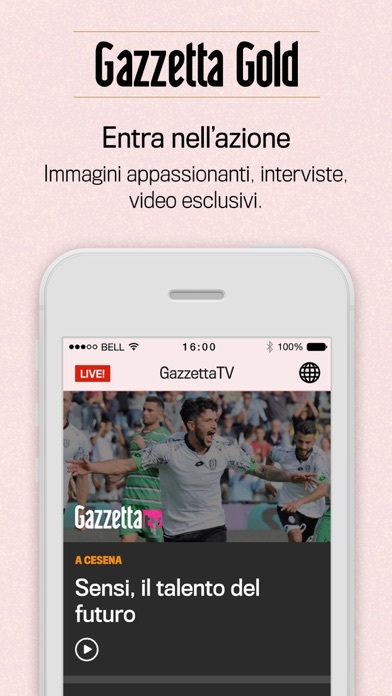 Ho scaricato l'applicazione e seguo il mondiale ogni giorno grazie alla Gazza su Ipad. 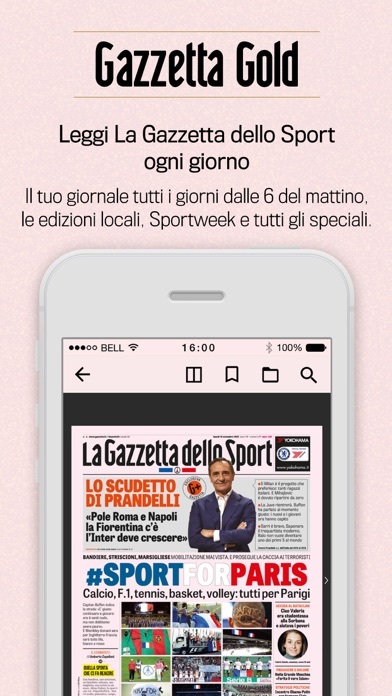 Vivo negli stati uniti e questo e' il modo migliore per leggere le notizie sportive Italiane. Spero che vengano offerte anche singole edizioni a prezzi ragionevoli (99 cent....)!!!! Can you please make the app available in English?? That would make this app perfect! Preferivo mille volte di più le due app separate... Molto più pulito. Questa è una app di una confusione allucinante! Bella, ben fatta ci sono tanti contenuti in piu' . Graficamente ben fatta, ci voleva bravi. Per ora è la semplice trasposizione della versione cartacea sullo schermo dell'ipad. Da migliorare la funzione di ricerca che deve avvenire non solo per il numero di pagine ma anche per rubrica. Il double tap non funziona ovunque. Direi una buona beta, ma c'è da lavorarci ancora. Definitely one of the best and most informative sources for sports activities in Italy and at the international level. Great for IPAD and IPhone .I cannot imagine myself without this ap. I'm sorry to say but, for the price, one expects a lot more than this. App is very glitchy and unstable. Navigation is poor and content is minimal. This is just a shell over the gazzetta paper. Almost seems it was rushed to launch for the World Cup. Not cool. Very expensive and disappointing.